We are at the home stretch of the India Circus giveaway! Remember, the contest ends tonight (17th) at 9 pm Eastern US, if you havent already signed up - now is your chance! After, you've picked your option , please leave us a comment on the post - you are eligible only if you have left us a comment after completing the steps! Good luck! The winner will be announced on the 24th. Please go here to participate. 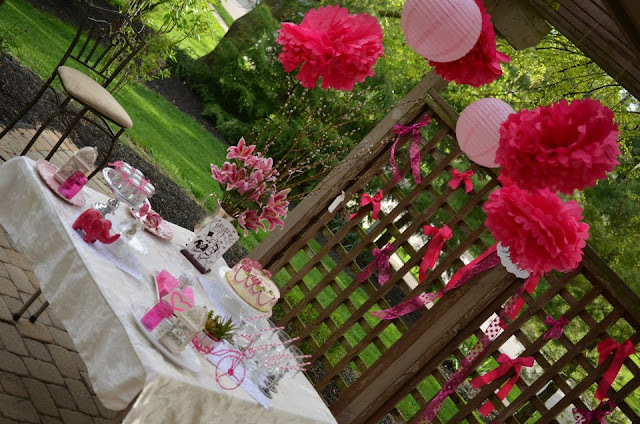 Today's feature - A backyard soiree in pink! The trellis is used as a focal point! Well, this was actually a bridal shower that I hosted in honor of a dear friend recently. 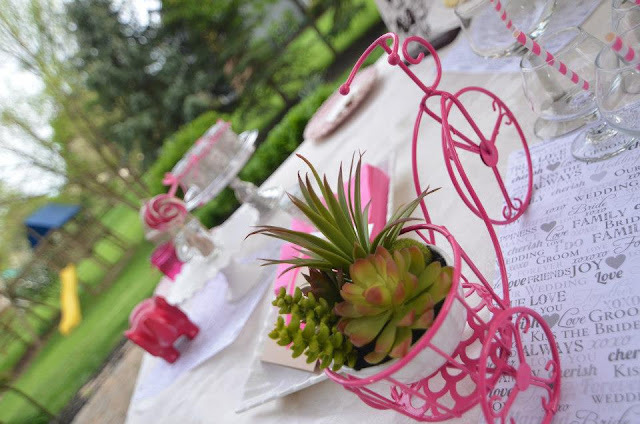 However, since I did not know much about bridal showers or hosting one before this, I planned a garden soiree in PINK - figured I couldn't go wrong with that! Pink is a great color to celebrate love and the romantic union of two hearts and it set the direction for this intimate soiree that involved an adorable bride and a few of her friends. So, read on..
A hand drawn bride and groom for a personalized touch! The tradition of celebrating bride-to-be with a dedicated event traces back to 16-17th century Netherlands (source). 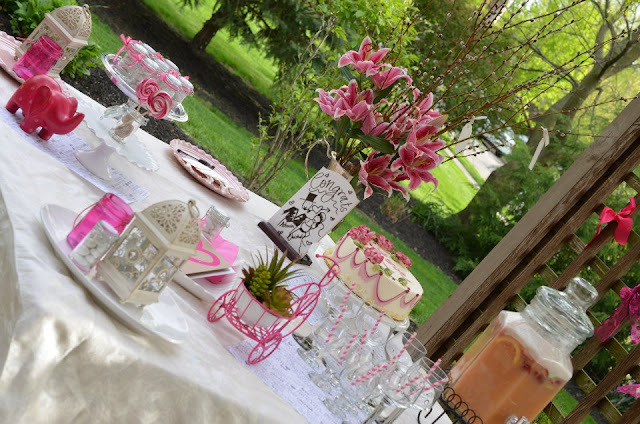 Bridal showers have been a pre-wedding cultural courtesy in the United States since the 1890s. Modern day showers range from simple soirees to flamboyant fares (the Martha Stewart kind!). Building on the PINK theme! Our shower purported to allow the bride to pause and imbibe all the pre-wedding excitement. The chaos and frenzy that is so integral to INDIAN wedding preparations often casts a dizzy spell and warrants a relaxing break. We picked a weekend in May and got a group of friends together. Laughter, fun and raising a toast to love was our main goal. 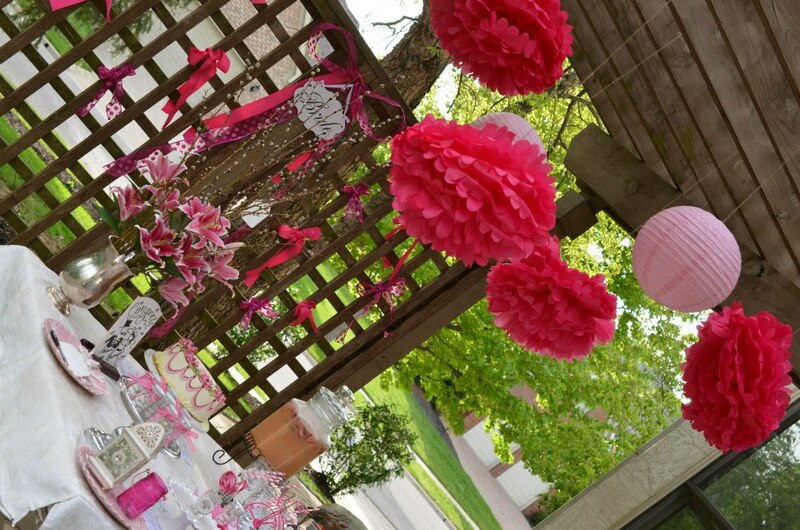 We threw in some pink and some pom poms, that's all! An intimate setting with a big impact! - The maid of honor or one of the bridesmaids hosts the event typically in their home. 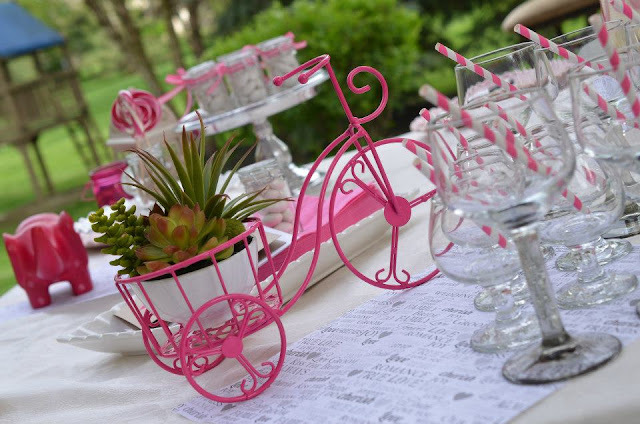 - Etiquette calls that the bride's family - mom, mom-in-law not host the event! 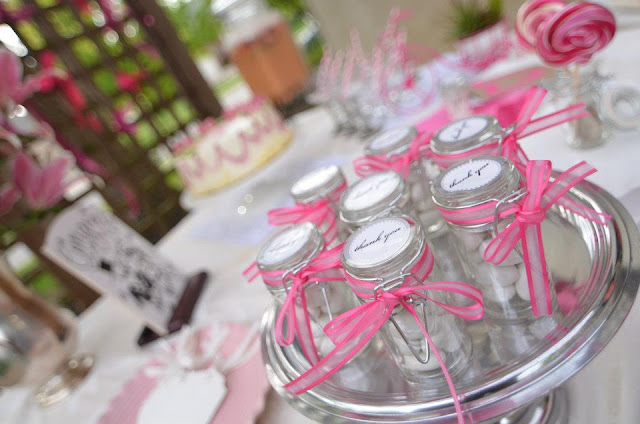 - It is essentially a get-together to shower bride-to-be with gifts, love and attention. - The bride, in turn, thanks the hostess with a gift. - It is usually planned as an afternoon event, 4-6 weeks prior to the wedding and usually after the invitations are sent out. I like to plan my events ahead of time but this one just crept up on me. 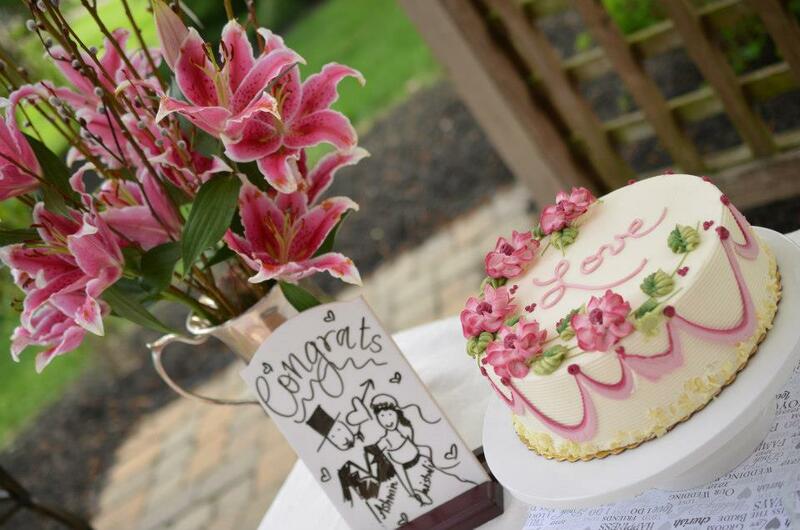 I intended to host the shower since the time her wedding date was finalized (many moons ago). With conflicting on-call schedules, getting the group together turned out to be harder than I imagined and eventually, I gave up on the planning. Miraculously, we found one weekend when most of us were available and it happened to be THAT weekend! No worries, breathe easy- I told myself! It can be done! Enjoying the outdoors ...yet again! With one enthusiastic bride in tow (I know, I know - bad etiquette! 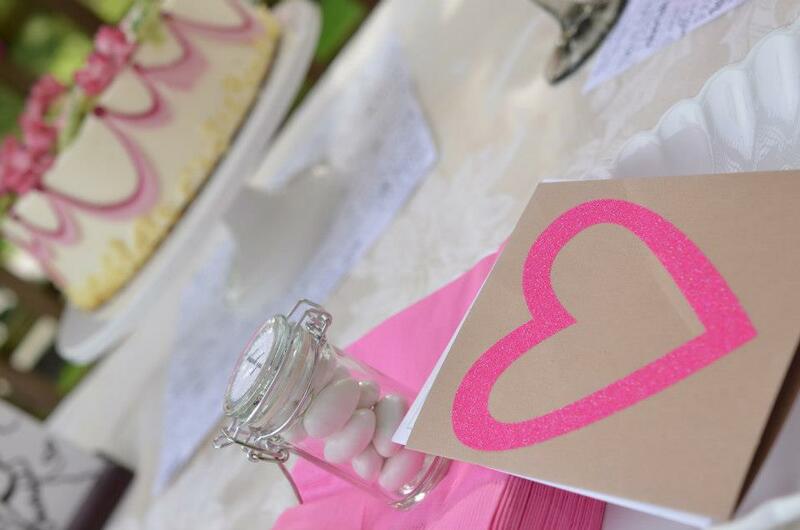 ), I made a few quick stops - flowers, cake, decorations - all in a few hours span! We argued, disagreed and negotiated about the look and feel of the soiree. But we agreed on PINK! The girls graciously pitched in with the food and the punch and wore pretty dresses and perfect smiles! We lounged in my backyard enjoying the gorgeous spring weather! All in all - it was a merry affair, one that I am positive our bride-to-be will cherish forever. The shower was a great way to incorporate a tradition from her adopted country into her wedding saga before she heads home for traditional Indian nuptials. 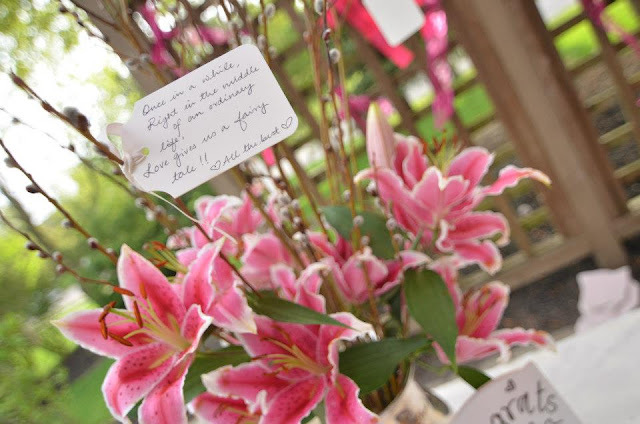 The shower ensemble matched the bride's chirpy personality and included brilliant hued pompoms, paper lanterns in a dainty pink, gorgeous asiatic lilies, an adorable pink plant holder, pink striped paper straws (yes! 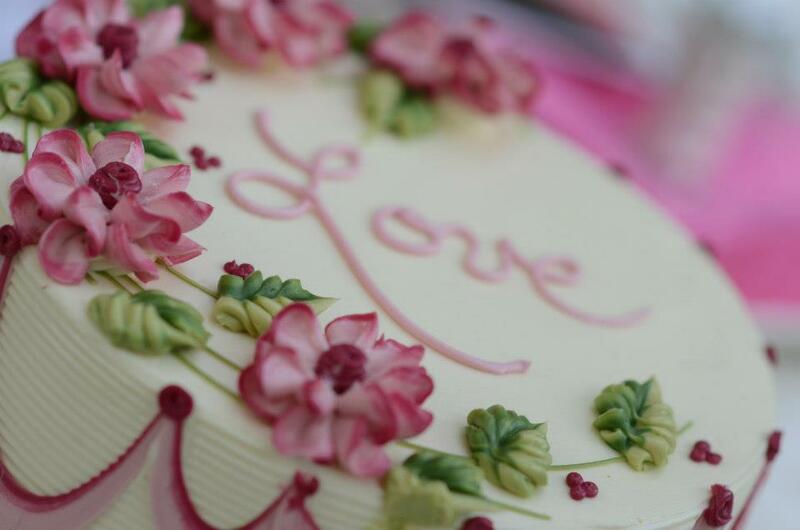 ), wishing tree made of willow branches , the PERFECT cake and many more chic details which even Aphrodite would have appreciated! The girls take home a tiny token of love...almond candy! Putting it together was an absolute blast and yet another experience that I will fondly remember. I wish my friend Vaishali and her groom Ashwin, a lifetime of happiness…. Aalayam shines the spotlight on the American Bridal Shower - a cultural more that celebrates a bride as she stands on the threshold of a new life! Sigh! The wishing tree in willow branches. 1) Choose 2 primary colors for your setting, if you must, add an accent color - in this case, I opted for pink and basic white . Notice, I chose different shades and hues of pink, to add a 3 dimensional effect. 4) Stay away from tacky banners, paper centerpieces, faux floral arrangements! 5) If you have to stick to a theme - remember, less is more! In this case, the bride sign on the trellis, the hand drawn bride and groom and the card stock paper with wedding words were our only wedding themed accessories. 6) Don't be afraid to use stuff you already own - if it is the right color, it will work! Case in point-my pink elephant and the candle holders! 7) And lastly, fresh flowers, fresh flowers, fresh flowers! Please join us next week to find out who won the gorgeous India Circus tray and we will be talking COLOR! p.s: All the images are from my backyard and taken by my husband. Please ask before using! And a soirée it is! Looks so beautiful. I could just live there! Shalini : Thanks for reading. It was a beautiful evening indeed and the bride looked so blissful in this setting! Deepa ..you are so good at hosting, organizing. This is amazing. Your giveaway was lovely..too bad I missed it.